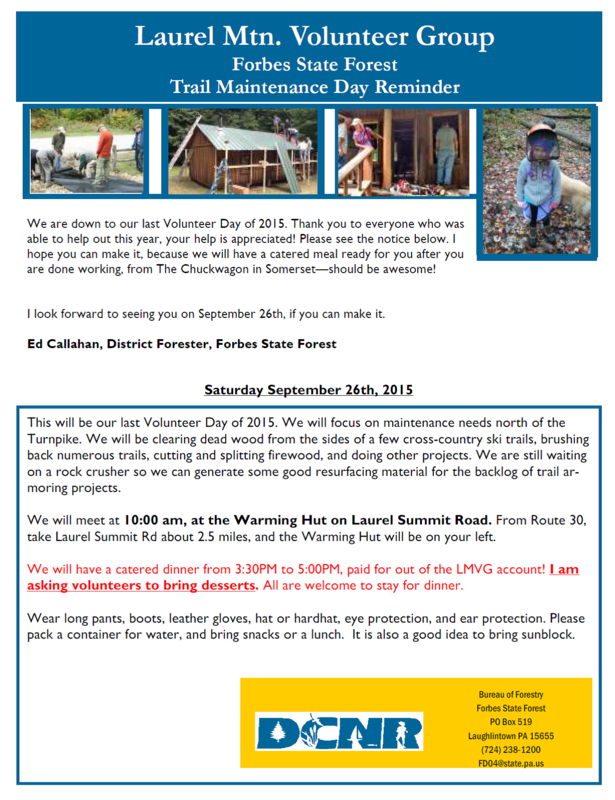 Laurel Mountain Volunteer Group work day - National Public Lands Day - meet at Laurel Mt warming hut at 10:00am on Saturday 26 September. There will be a catered dinner afterwards, if you can stay for it then please bring a dessert. See the flyer for details (click on the picture).